How to determine email address behind Email link on Job page? I'm interested in emailing a company about a position advertised on Stack Overflow. When I click Email the browser attempts to open a native email client. The problem is, there is no native email client setup on this machine. When I click Exit on the setup screen, all windows are closed, including the native client compose window with the email address. How do I learn the email address behind a link on the Stack Overflow jobs site? You're probably referring to this Email button, right? 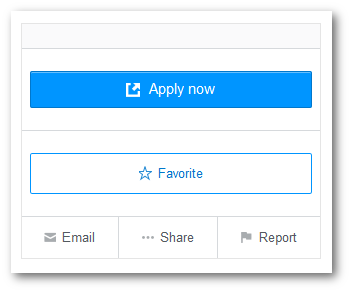 The purpose of this button is actually to share the job by email, for example with someone who you think might be interested in it. Not the answer you're looking for? Browse other questions tagged support status-completed jobs email . Is my email address accessible? Why did I get a job email? How can I use a separate email for job inquiries? Why do the email job notifications have multiple instances of the same job in the same email message?